Here at AW Health Care, we are excited and interested to see people recover. 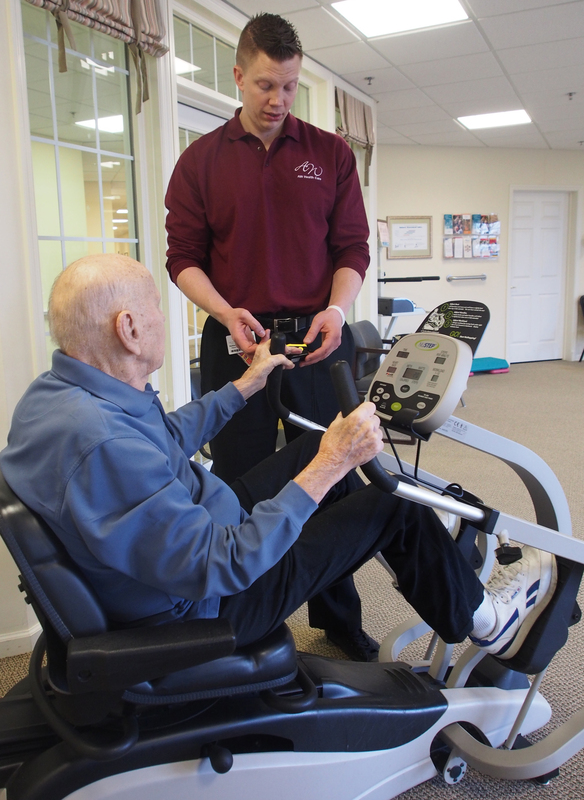 We are also invested in making sure our patients are physically able to enjoy a high quality of life. Our team is highly motivated to assist patients achieve their therapy goals so they can to get back to “normal”, faster. We understand that life happens. Our therapists work closely with clients to empower them to take control of their treatment and to work through their injuries. We treat all types of adults, varying from active individuals recovering from athletic injuries, seniors recovering from injury or surgery, as well as employees recovering from work-related accidents. AW Health Care offers physical and occupational. Physical and occupational therapy services are offered at our University City location and are available at our clinic located within “The Fairwinds” independent living community in St. Charles. You do not need to be a resident of The Fairwinds to access the therapy services we offer at this location. Our therapists work one-on-one with clients and proudly specialize in orthopedic injury management as well as acute and chronic pain management. Our therapists assist in both pre- and post-operative care and accept patients under worker’s compensation benefits. Our goal is to get you back up and on the go, while restoring the confidence you need to succeed in all your day-to-day activities. At AW Health Care, we promote mobility, functional ability, quality of life and movement potential through our therapy program. Our program seeks to rehabilitate, and educate clients with on site, one-on-one therapy sessions. During our evaluation, a physical therapist or occupational therapist will examine you and develop a personalized plan of care using treatment techniques approved by your doctor designed to help you move, reduce or eliminate your pain, restore function, and prevent decline or disability. We believe that you will receive the most benefit if you are active in your rehabilitation, so we will work closely with you in our gym to ensure a safe and speedy recovery. We will also provide you with a home exercise program that is unique to you and your level of function so that you may continue to improve or maintain your level of function in the comfort of your own home beyond your treatment with us. We have a well-equipped gym, modalities and free weights to ensure you complete your treatment safely and effectively. While it is important for every person to educate themselves on their own insurance plan, our business office will do all necessary pre-certifications and verification of coverage.